App stores are currently overrun with battle royale games that I will generously say are heavily inspired by PUBG and Fortnite. It’s a wild west out there, but amidst all the copy-catting, two games plucked from the masses are being taken to court by PUBG Corp., the company running PlayerUnknown’s Battlegrounds. 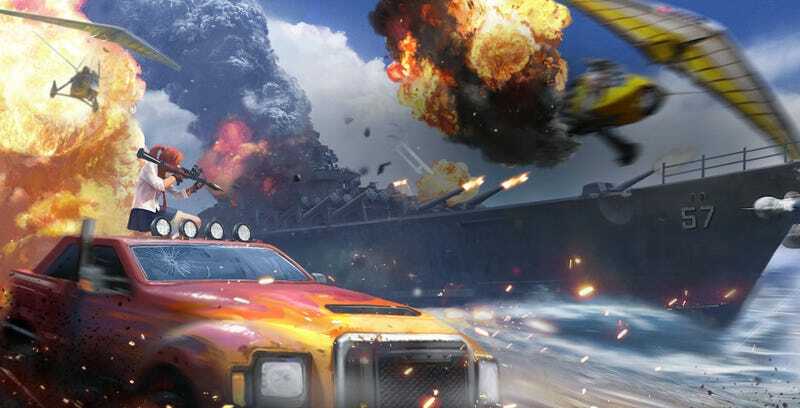 As TorrentFreak report, PUBG Corp is suing Chinese gaming giant NetEase, which has published not one but two games—Rules of Survival and Knives Out—that PUBG feels are cutting things a little too close to their own efforts. Also being cited in the case is the fact that there are YouTube videos of people playing these games labelling (or mistakingly) labelling them as “PUBG”, potentially misleading viewers. PUBG Corp wants both games removed from app stores, and are also seeking damages. If you want, you can read the full suit at TorrentFreak.